Traditional meals cooked in Turkmen communities in Iran are among the most interesting tourist attractions of the country. Food diversity in the Turkmen-majority Golestan province is no less than that in the province of Gilan, both in northern Iran. Turkmens are experts in using pulses and meat to make food and can use them to cook different types of meals. A key tourist attraction in Golestan province and its Turkmen-majority areas is to try local traditional foods which cannot be found anywhere else. Chekdarmeh is Turkmens’ most important and famous food made with rice and lamb. And instead of tomato paste, they use natural ingredients such as tomatoes and carrots which have no preservatives. All Turkmens try to mostly use natural materials in their foods. Chekdarmeh, also known as Chiekdirmeh or Chegdermeh, is traditionally cooked in a special cauldron called Qazan. In addition to Chekdarmeh, there are other types of popular local foods made with pulses and meat for those who are not vegetarians. 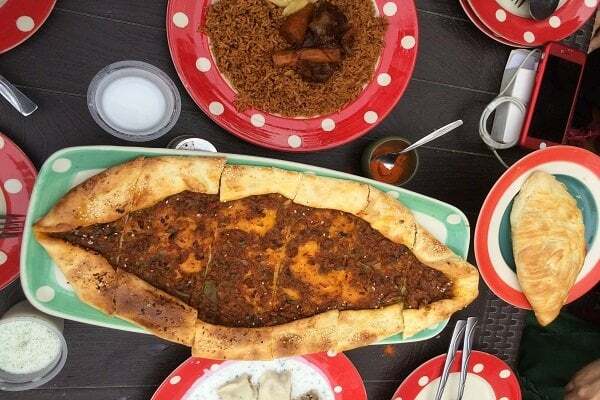 Qayesh is made with paste and literally means “slow movement” because the meal is delicious and one feels heavy and listless after eating it. Qayesh is also cooked by Turkmen women in North Khorasan province. 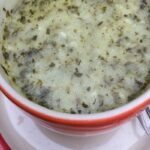 Joosh-Manti is one of the oldest foods cooked by Turkmen people all year round. 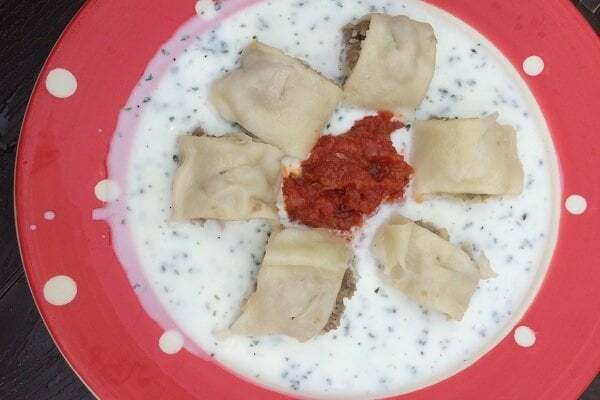 It is made with minced meat, paste, sauce and yoghurt. There is also spinach-Manti for vegetarians as it is made with vegetables and spinach. Loqmei-Manti is similar to Joosh-Manti, but is cooked differently. 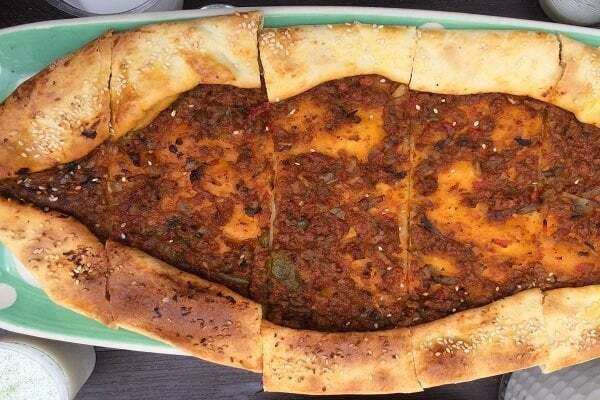 Turkmens cook a food called Lahmajoon, which literally means “a mixture of meat and paste.” It is made with a piece of thin round-shaped paste on which ingredients such as minced meat, chopped vegetables, onions and tomatoes, etc. are poured. The paste is cooked flat open or rolled. 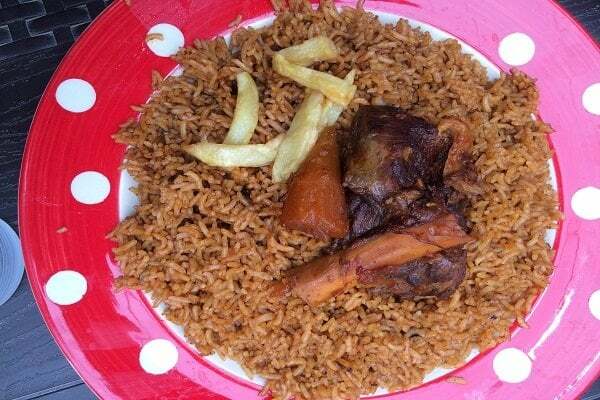 Boorg contains a thin layer of paste with meat, vegetables and cheese cooked on a cast iron dish. This food is cooked in different ways by Turkmen people. All the above-mentioned foods can be tried in many of the restaurants in Turkmen-majority cities in Golestan province. Every tourist would love to taste a delicious traditional food after visiting the ancient Gonbad-e-Qabus monument which is registered on the world list of heritage sites.